A review of Dorinco Health Insurance Company is actually a review of the Dorinco Reinsurance Company based in Michigan. Founded in 1986, Dorinco writes direct insurance, as well as reinsurance policies. These include liability, property, and multi-line coverage. Looking for health insurance? Just type your zip code in the box above and we will find you the health insurance rates from local insurance providers. Dorinco’s website does not offer much in the way of content, so it is difficult to find out exactly what policies the company offers, but it has been written up as a provider of employee benefit coverage, which is one type of health insurance coverage. Dorinco Reinsurance Company is a subsidiary of Dow Chemical. Dorinco was established 25 years ago as a captive insurance company for its parent company, Dow Chemical. This means the company was founded to help finance the risks that Dow took in its business operations, such as its research and development pursuits and its business acquisitions. Captive insurers are those that are owned by their policyholders; i.e. the insurance company provides policies for the company that owns it. Captive insurers may also write policies for their parent company’s customers, providing both insurance and reinsurance coverage. This is the case with Dorinco, which provides a percentage of Dow Chemical’s employee insurance coverage, and reinsures the insurance provider of the remaining coverage. To make it even more confusing, Dorinco is a subsidiary of Liana Limited, Dow’s holding company that provides most of its property and casualty coverage and reinsurance business. 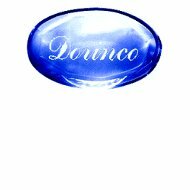 Liana Limited and Dorinco are so deeply entwined that it is nearly impossible to find out any information on Liana that does not mention Dorinco. While Dorinco is due for a new review by A.M. Best & Company, the reinsurance company’s last financial rating report from Best was an “A-” or “Excellent.” The insurance industry ratings provider assigned this rating to Dorinco in July 2010, along with an “a-” issuer credit rating and an outlook of positive for both its financial and credit strength. An online search for other reviews did not find much but a handful of court proceedings that ruled in Dorinco’s favor most of the time. One concerned a lawsuit between Dorinco and other reinsurance companies for reimbursement for damages to two Dow Chemical plants during Hurricane Rita and Hurricane Katrina. For more information on specific people to contact for specific concerns, such as claims, go to Dorinco’s website’s “Who to Contact” page http://www.dorinco.com/who_to_contact_for_more_informat.htm. Unless you are a Dow Chemical employee, it does not look like Dorinco will be able to provide your health insurance policy. That is where we can help! Simply type your zip code into the box below and we will happily return a bunch of health insurance quotes from which to choose.